I couldn’t have imagined a better ski writer to assume my beloved newspaper column for the Maine Sunday Telegram than John Christie. As flattered as I had been in 2010 that Christie, and his son Josh, were chosen as my successors for the ski column I had written for 11 years, I was equally saddened to learn of John’s passing on May 7, 2016. I was proud the day he and Josh took over “my ski column” at the Press Herald. I joked with John that it took two to fill my ski boots – but I was impressed with their work, and loved that a father son team shared the column , carrying on beautifully, with engaging, eloquent and just plain fun content. I had been hired at Boston.com as the ski guru, but I circled back to check on “my baby” weekly. John and Josh shared, possibly eclipsed, my passion for skiing, writing, and the ski biz. John Christie was always a generous enthusiastic promoter of the sport – and a super nice guy! His son Josh is so-damn-outdoorsy and also a brilliant writer (of books! about beer! and skiing! #cool). How heartwarming that Josh can carry on his Dad’s legacy and continue to create and share stories about their family’s favorite sport. As for my memories: every time I met John Christie, his smile warmed my heart, especially on those cold windy ski days at the Loaf. His laugh cut through any frostbite, his optimism and first-hand stories could outlast any fixed-grip chairlift ride. 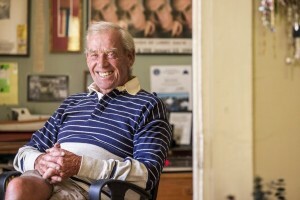 John had mad people skills, amazing retention of every player’s name and their influence (the good, the bad and the not-fit-to-print) in the ski biz, myself included – he not only remembered me but made me feel like a ski rock star, calling me the “First Lady of Maine Skiing” – I told you he was funny. He was an incredible storyteller. His words came from the heart, honest and humorous, but peppered with factoids. The sad news, John Christie died suddenly at 79, he was working Saturday morning at the entrance gate of Camden Hills State Park. He was doing what he loved, welcoming people to engage in Maine’s great outdoors. I can picture the last people he greeted with his boundless energy, and how he brightened their day during that brief encounter. The truly positive news though, John Christie will be remembered and revered through his written word, he wrote “The Story of Sugarloaf,” which won the 2008 Skade Award from the International Skiing History Association ( a must read for every Sugarloafer). 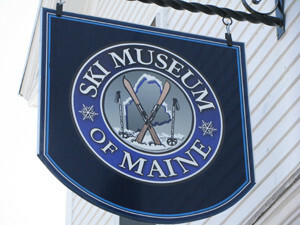 He’s left a legacy, as president of the Vermont Ski Areas Association, the Sugarloaf Ski Club, as director of the National Ski Areas Association, as a founder of the Maine Ski Museum and the Maine Ski Hall of Fame – where he was inducted in 2006. A celebration of John’s life will be held at Sugarloaf Resort Saturday June 18 at 4pm. John Christie’s name will remain forever “google-able” in the ski biz, and he was schussing the world long before the world wide web. He will have a sparkly snowy space forever in our fondest ski thoughts. 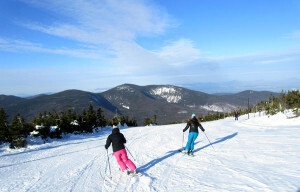 My first tracks next ski season down Sugarloaf’s Timberline to Tote, or Saddleback’s Mule Skinner, will be dedicated to John Christie.